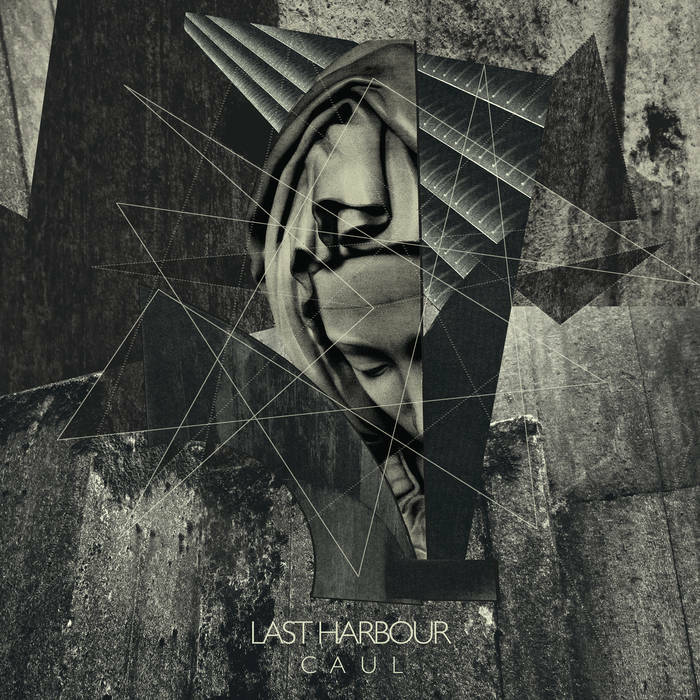 Manchester’s Last Harbour have been offloading their doom-laden rock to angst lovers for over a decade now and it is to be expected that their new album ‘Caul’ will reveal no sign of them lightening the mood. Yet there’s shafts of light here which indicate there is hope after all these years. ‘Caul’ opens like a finale with mournful drones and strings and a sedate piano melody emulating the last paragraph of a tragic novel. After this brief instrumental comes the first song, ‘Fracture Fragment’, where K. Craig’s lugubrious tones set the scene for more familiar territory. It’s a weighty number which lurches all the way from bleakness to misery, yet elegantly so. Then come the surprises. ‘Guitar Neck’ benefits from a shift in momentum, as guitars and rhythms picking up the urgency and intensity; resembling the missing link between Piano Magic and The Stranglers. ‘Before The Ritual’ veers even more towards rock and there’s even a playful keyboard motif thrown in for good measure. Further about turns arrive via ‘Horse Without A Rider’, where they move into the warmth of country music before unleashing a post-rock storm. ‘The Deal’ starts like the main event; beginning so ominously with sinister string segments and then relentless percussion. The only disappointment is that it doesn’t build into the towering epic that it promises and merely broods. As the album draws towards its conclusion, ‘The Pressure’ is as weary as the title suggests and final song ‘The Promise’ is a beautifully-arranged suite; seguing from its forlorn beginning to an uplifting middle section and then reverting to a valedictory, peaceful end. ‘Caul’ offers unexpected shifts in pace and style without disappointing fans of their previous work. So their glass is still half empty but Last Harbour offer comfort and solace at the end of the voyage.